Save up to 70% off select sale items. Shop Pharaoh jewelry, the Buddha collection, skull jewelry, and more. It’s time to dust off your parachute pants, because the '80s are back in style. The fashion of the 80’s is all the rage right now, but no other style has made a stronger comeback than hip hop. From Jay-Z to Lil Wayne, all of today’s hip hop artists are covered in bling. Thanks to kingice.com, now anyone can dress like baller without having to spend like one. Shop for hip hop inspired jewelry, watches, necklaces, and bracelets and throw down a KingIce coupon code to save some coin. The 80’s gave us Michael Jackson, Madonna, neon colors, leg warmers, and The Breakfast Club. It was also the decade that hip hop music became a worldwide phenomenon. Thanks to artists like Run DMC and Big Daddy Kane, hip hop became more than just music – it became a lifestyle. Pairing heavy gold chains with brand name clothes became the standard in hip hop attire. Thirty years later the trend is still going strong, and thanks to King Ice, it’s more affordable than ever. Looking for an iced out bracelet like Kobe Bryants? How about Kanye’s gold curb chain? You don’t have to be a baller to get your bling on. Kingice.com has the freshest hip hop jewelry and accessories, and their prices are off the chain. They have a massive selection of earrings, necklaces, watches, sunglasses, and belts. With low prices and lightening fast shipping, you will sparkle in no time. Located in Los Angeles, King Ice has been selling hip hop inspired jewelry and accessories since 2002. Being centered in a city known for fashion has helped King Ice to keep up on the ever-changing fashion trends and keep their selection fresh. They sell only quality sterling silver and gold merchandise and offer a 90-day warranty on all their jewelry. At CouponPal, we don’t think you should blow all your dough just for the sake of fashion. We’ve hooked you up with a King Ice Coupon Code to save you some cash today. You don't want to walk unnoticed down the street. With a huge selection of gold and silver chains, premium watches, blinged-out pendants, and more, King Ice has what you need to have all eyes on you. For an equally eye-catching price, follow these instructions for using a King Ice coupon code. Find your favorite King Ice coupon at CouponPal.com and click "Get Code" or "Get Deal." If your coupon requires a code, a new window will pop up with the King Ice coupon code. Highlight and copy the code so that you can use it later. Check out watches, chains, clothing, and more at the King Ice website and click "Add to Cart" for anything you want to buy. When you're done shopping, you can click the shopping cart icon at the top right-hand corner of the page to view your shopping cart, and click "Proceed to Checkout" to start finalizing your order. 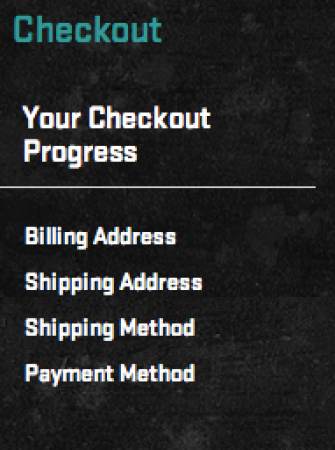 After you click "Proceed to Checkout," you'll see the contents of your shopping cart and your order subtotal. At the bottom of the page is a box labeled "Discount Codes." Enter your King Ice coupon code here and click "Apply Coupon." After applying your King Ice promo code, click "Proceed to Checkout" again to finish up your order. Now you'll have to either sign in to your King Ice account or create a free account. Next, enter your payment and shipping information. Then you're done! You roll hard, and you need the right jewelry and clothes so people know it. King Ice has all the items you got to have to look like 2 Chains or Rick Ross. They also have great deals, so you can look like you make it rain without having to actually spend all of your hard-earned cash. 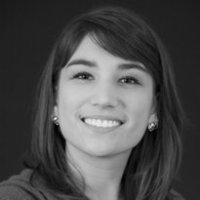 Here are a few questions you might have while using the King Ice site. Why isn’t my King Ice coupon code working? If your King Ice coupon code isn’t working when you go to purchase some sick chains, check to see if there is an expiration date or minimum size order attached to the deal. 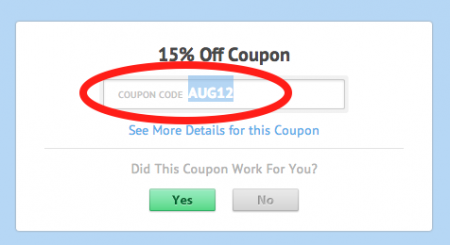 These types of restrictions can keep your coupon code from being applied at checkout. You can reach customer service by calling 1-800-519-9650 or by emailing them at sales@kingice.com. You can also submit questions at Contact Us. If you’d like to speak to someone online, check out the Live Chat option by clicking on the link at the bottom of the homepage. If you’re unhappy with your purchase, you can return items within 30 days. You can email or phone customer service, and they’ll provide you with instructions on how to return your products. The cost of return shipping will be deducted from your refund, and you will be charged with a 15% restocking fee. You cannot return sale items. For more information, go to the Return Policy page. Unless you received a King Ice coupon code for discounted shipping, you are responsible for shipping costs. Standard shipping is available at a flat-rate of $7. For more details, go to Shipping. King Ice currently accepts Visa, MasterCard, American Express, and Discover. You can also use GoogleCheckout or PayPal to complete your orders. How can I sign up for exclusive offers? All you have to do to sign up for the newsletter is provide your email address in the box at the bottom of the homepage. Then you’ll get emails that let you know about exclusive offers, new products, and upcoming sales.